﻿ The Young Hearts are clearly a band shooting for the stars. Even after the sort of bumps in the road that would’ve left a lesser band questioning whether it’s all really worth it, especially after being involved in a serious car accident on their way to a show, this is a band for whom perseverance is as imperative as it comes. That’s honestly the best mindset to have, especially considering the sound of Honestly, I’m Just Thinking, and the standard to which it’s pulled off. It’s no big shock that this sort of Britrock / emo intersection is a well-worn path now that requires something mighty special to succeed in it, and this EP just isn’t doing it for The Young Hearts. There’s promise here, especially on a track like Smoke which does the most with what it has in terms of a truly sticky hook, but from the sound to the lyrical content, right down the artwork, Honestly, I’m Just Thinking can’t elevate itself beyond the bare minimum of what this genre has to offer. Part of that comes in the overall delivery, which might pull off some spacious, clean guitar work on tracks like Smoke and Bloom, but any fire that could come through in an instance of scraping together whatever can be found feels severely damp, and the blank, timeless bluster hidden within each track to try and create some kind of sweeping, epic atmosphere feels like unnecessarily fluffy padding. It’s an incredibly sweet take on emo that honestly could do with beefing up to really get some sort of benefit, not at all helped by writing that feels utterly bog standard, and a vocal performance by Craig Lawrence that honestly feels too meek to drive home anything of real intensity. Perhaps the biggest fault of Honestly, I’m Just Thinking is that it’s just not interesting. The Young Hearts do have talent in writing sizable hooks, and even if some of the more detailed works aren’t quite there yet, there’s enough to suggest that with a bit of fine tuning, something can be made from it. But with instrumentation as limp and colourless as it is here, and just an overall sound that’s too bland to do any favours, there isn’t enough about The Young Hearts to fully recommend just yet. 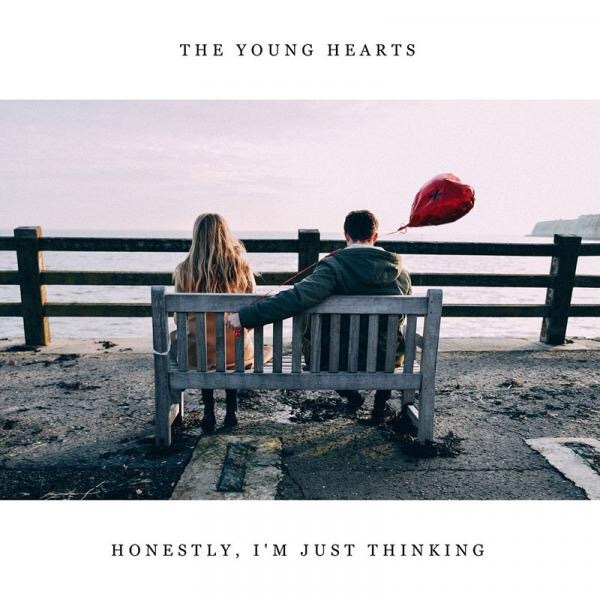 ‘Honestly, I’m Just Thinking’ by The Young Hearts is released on 29th September on Primordial Records.